An EPS file (a file that has the .EPS extension at the end) is an Encapsulated PostScript file. EPS files are special kinds of image files that contain PostScript programs – these PostScript programs describe how a vector image is to be drawn to a computer. EPS files can contain both text and graphics, and also almost always have a bitmap preview image “encapsulated” inside them. Files with .EPSI and .EPSF extensions are also classified as EPS files. EPS is basically a file format for vector images. A vector image is an image with a mathematical equation embedded in it, an equation that allows for the vector image to be enlarged to basically any size imaginable without restriction or any fear of pixelation. Vector images are most commonly used for large-scale printing (billboards and the creation of decal wraps, for example). As you can probably tell if you’ve ever dealt with an EPS file, EPS files are unlike your average image file. 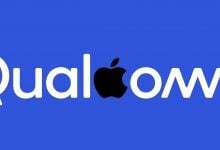 That being the case, not every image viewing program out there is capable of opening and viewing EPS files, and an even smaller pool of image editing programs is capable of actually editing EPS files and working with them. EPS files can only be opened and edited in vector-based applications, and other applications simply rasterize (or flatten) them while trying to open them, leading to them losing their ability to be enlarged to virtually any size required without any pixelation whatsoever. If you would like to keep it simple, EPS Viewer is the way to go. EPS Viewer is basically a single-function application designed to simply open and view EPS files. EPS Viewer (which can be downloaded here) is more than capable of opening and viewing any and all EPS files, and can also be used to resize, rotate 90° in either direction or zoom in and out of EPS files. 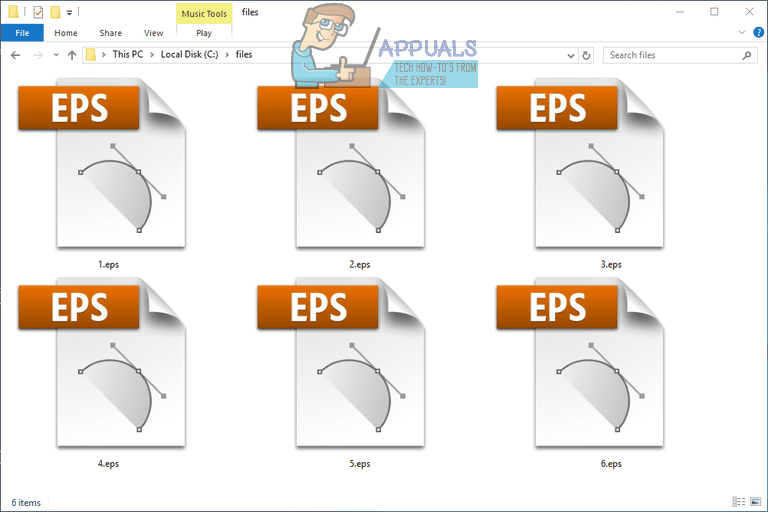 EPS Viewer can also be used to convert an EPS file into a JPEG, Bitmap, PNG, GIF or TIFF file – all you have to do is open an EPS file via EPS Viewer and select any of these other formats in the Save as type: dropdown menu when saving the EPS file as a new file. Gravit (available here) is an amazing piece of freeware capable of not only opening but also editing and working with EPS vector images. 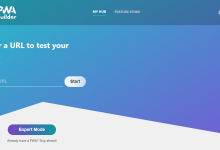 Gravit is available as a standalone application for the Windows Operating System but also has an online client that can be used to view and work with EPS files on your internet browser (after you create a Gravit account, of course). Make sure that Irfanview is installed on your computer. Go here and download the 32-bit or 64-bit (depending on the iteration of Windows you have) Plugins package for Irfanview. Once the Plugins package has been downloaded, run it to install the plugins and follow the onscreen instructions. The installer will install the plugins to the same directory Irfanview is located in. Go here and download the installer for the Ghostscript PostScript and PDF interpreter/renderer. 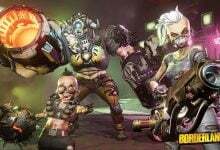 Again, download the 32-bit or 64-bit version of the program depending on what iteration of Windows you have. 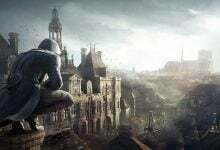 Once the download has been completed, run the installer and install Ghostscript on your computer. Once you have the main Irfanview application with its Plugins installed and the Ghostscript PostScript and PDF interpreter/renderer also installed, you’ll be able to open EPS files using Irfanview. Once you open an EPS file with Irfanview, you will see that the program is capable of doing a lot more than just opening EPS files – it is also capable of allowing you to edit them and work with them to an impressive degree. When it comes to Windows applications capable of opening EPS files, Adobe Illustrator basically takes the cake as it is one of the most powerful applications capable of not only opening EPS files but also editing them and working with them and even saving newly created images as EPS files. As feature-rich and polished as Adobe Illustrator may be, however, you are going to have to pay up if you want to use it to open EPS files – Adobe Illustrator is not freeware and needs to be purchased. Locate the EPS file you want to open and right-click on it. Hover over Open with and click on Choose another app in the resulting menu. 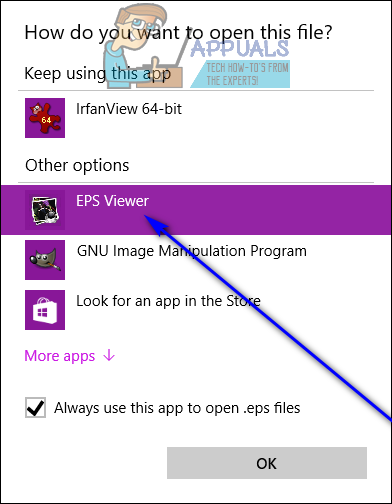 Locate the application you want to open the EPS file with under the Other options section and click on it to select it. 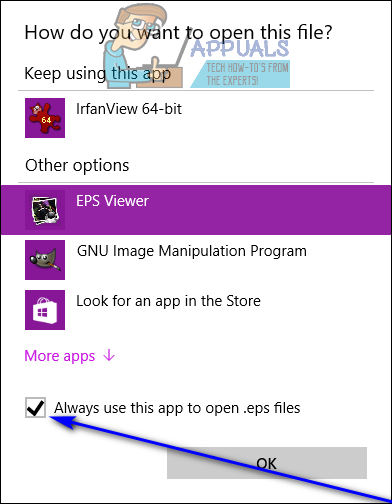 Enable the Always use this app to open .eps files option by checking the checkbox located directly beside it. 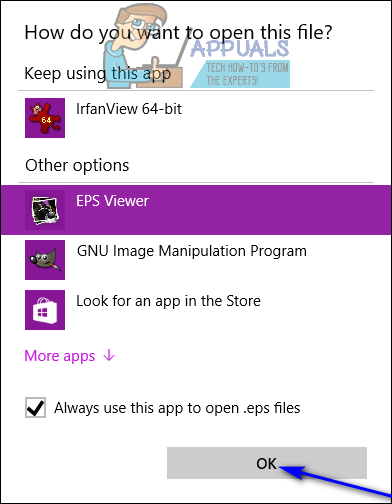 Click on OK, and the EPS file will be opened in whatever application you wanted to open it in.